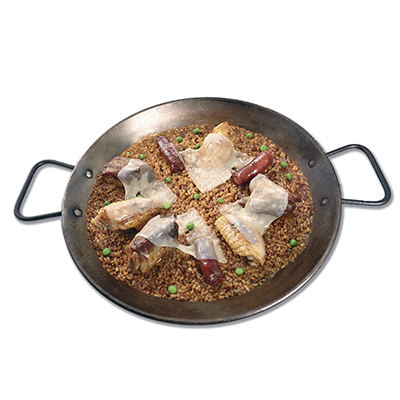 Discover our great variety of paellas, prepared in the classic Paellera Valenciana with the best ingredients of the zone, fresh and with a great flavor. 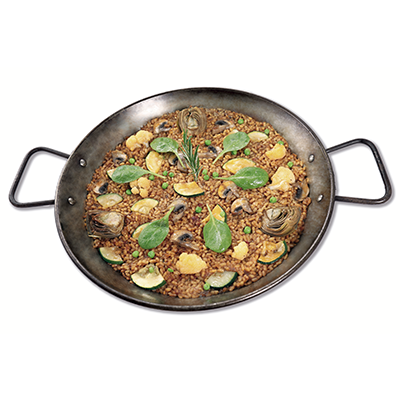 Seafood, vegetables, classic or the originals of “Artespañol” paellas prepared by our cooks in the moment and served hot directly from the stove in its individual paella pan. 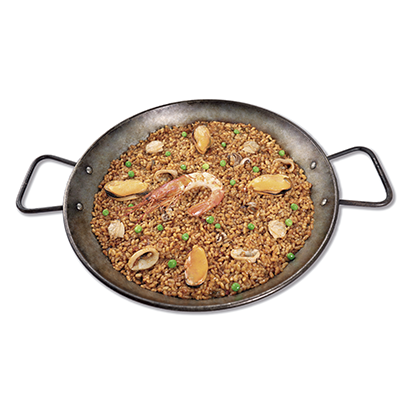 All our paellas take our homemade sofrito and its respective trickle of olive oil to make all the flavors shine on our plates. 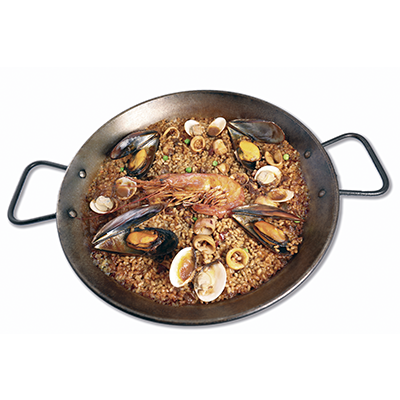 Short grain rice (certified Valencian "Bomba" rice) in a traditional “sofrito” sauce , squid, small octopus, small clams, mussels and prawns, all cooked on a low flame with a homemade fish stock. 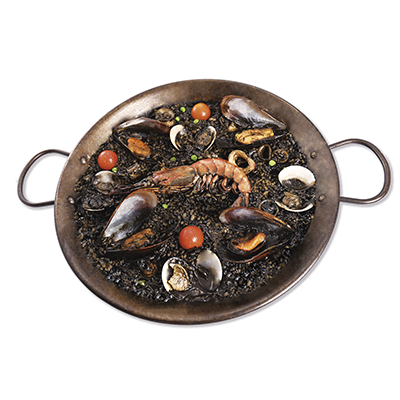 Short grain rice (certified Valencian "Bomba" rice) in a traditional “sofrito” sauce , squid, small octopus, small clams and mussels, all cooked in a homemade fish stock enriched with squid ink. 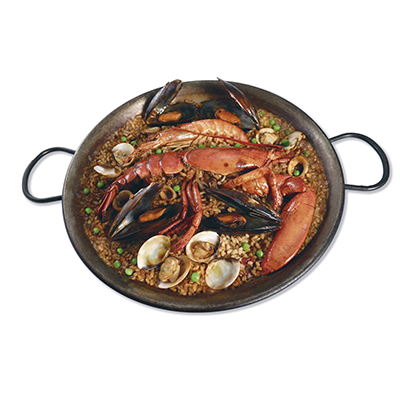 Short grain rice (certified Valencian "Bomba" rice) in a traditional sauce “sofrito” sauce,, squid, small octopus, small clams, spanish mussels, prawns and half of a lobster, all cooked on a low flame with a homemade fish stock. 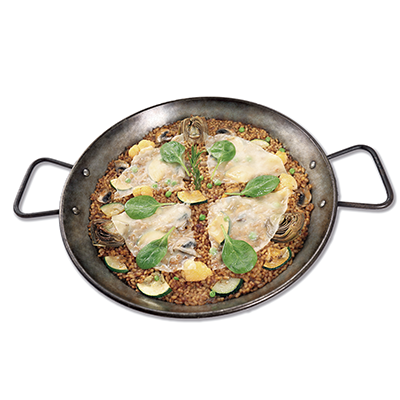 Short grain rice (certified Valencian "Bomba" rice) in a traditional “sofrito” sauce , squid, small octopus, small clams, and mussels, all de-shelled and cooked in a homemade fish stock and all topped with desalted cod gratinéed with a garlic mayonnaise. 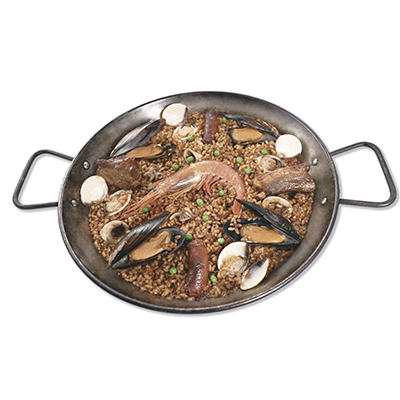 Short grain rice (certified Valencian "Bomba" rice) in a traditional “sofrito” sauce, squid, small octopus, small clams, Spanish mussels and prawns , all de-shelled, all cooked on a low flame with a homemade fish stock. 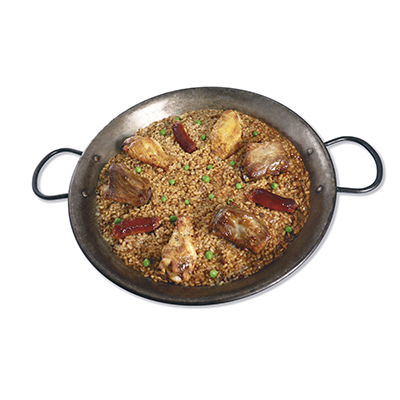 Short grain rice (certified Valencian "Bomba" rice) in a traditional “sofrito” sauce, chicken, pork ribs and chorizo sausage, all cooked on a low flame with a homemade meat stock. 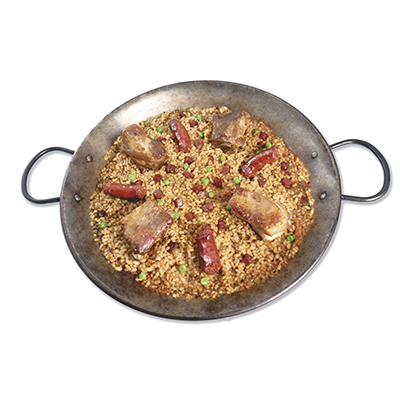 Short grain rice (certified Valencian "Bomba" rice) in a traditional “sofrito” sauce, dry-cured Spanish Serrano ham, chorizo sausage, pork ribs, all cooked on a low flame with a homemade meat stock. 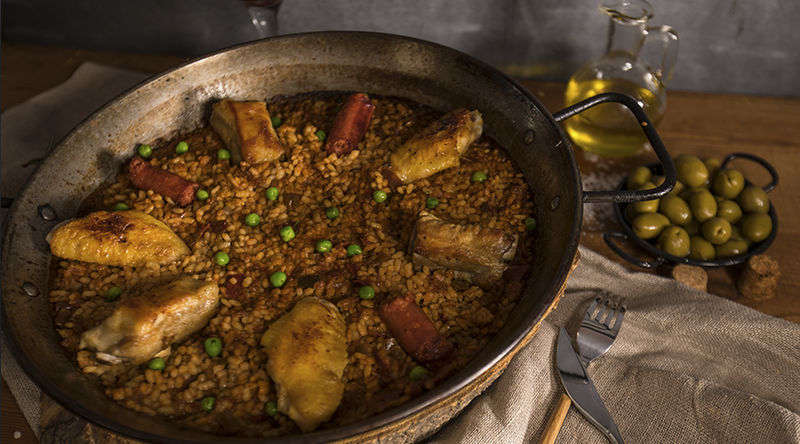 Short grain rice (certified Valencian "Bomba" rice) in a traditional “sofrito” sauce, chicken, pork ribs and chorizo sausage, all cooked on a low flame with a homemade meat stock and covered with melted manchego cheese. 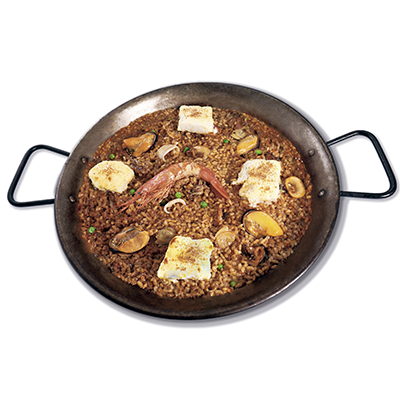 Short grain rice (certified Valencian "Bomba" rice) in a traditional “sofrito” sauce, squid, small octopus, mussels, prawns, pork ribs and chorizo sausage, all cooked on a low flame with a homemade fish stock. 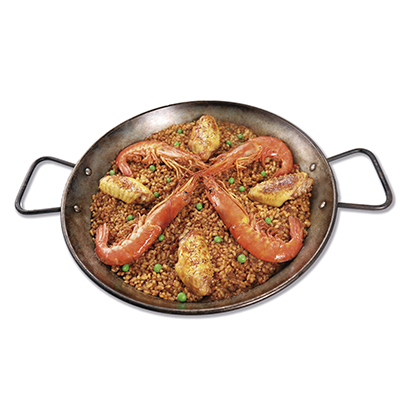 Short grain rice (certified Valencian "Bomba" rice) in a traditional “sofrito” sauce, chicken and prawns, all cooked on a low flame with a homemade fish stock. Short grain rice (certified Valencian "Bomba" rice) in a traditional “sofrito” sauce, red and green peppers, onion, tomatoes, peas, carrots and artichokes, all cooked on a low flame with a homemade vegetable stock. Short grain rice (certified Valencian "Bomba" rice) in a traditional “sofrito” sauce, red and green peppers, onion, tomatoes, peas, carrots and artichokes, all cooked on a low flame with a homemade vegetable stock and covered with melted Manchego cheese.